The “tide of war is receding” is a phrase President Barack Obama has employed ad nauseam—once in his State of the Union address, twice in the course of remarks last month at the unveiling of the Pentagon’s new military strategy document, once again during his speech at the United Nations, also in his announcement of troop withdrawals from Iraq and Afghanistan, and in a Veteran’s Day address. The constant repetition of this hackneyed metaphor is aimed at obscuring the obvious—that US militarism has escalated dramatically under the Democratic president and its tide threatens to engulf the entire planet. Among the latest indications is a behind-the-scenes campaign by the chief of the US military’s Special Operations Command (SOCOM) for greater autonomy in dispatching elite killer squads to every corner of the globe. SOCOM includes as its key sub unit the Joint Special Operations Command, or JSOC, which is made up of such outfits as the Navy Seals and the Army’s Green Berets, which carry out armed missions abroad. It is one area of the US military that is being spared even the minimal cuts that are being imposed on the Pentagon budget. SOCOM’s personnel has doubled since 2001 to its current headcount of 66,000, while its budget has risen from $4.2 billion to $10.5 billion. JSOC’s growth has been even more meteoric, going from just 1,800 troops in 1980 to over 25,000 today. Special operations forces have already been deployed in over 75 countries, ranging from the Dominican Republic and Peru to the Philippines, Yemen, Somalia and central Asia. According to published reports, the US troop withdrawal from Iraq and the draw-down of tens of thousands of soldiers and Marines from Afghanistan is to be offset by more extensive use of special operations forces. In Iraq, some of these forces will be kept in the country covertly, operating out of uniform, while others will be just across the border in Kuwait. In Afghanistan, a force of some 9,000 special ops troops will remain even after the 2014 formal deadline for a NATO troop withdrawal. In both countries, JSOC units have been involved in some of the worst atrocities. They carried out wholesale assassinations of opponents of the Iraqi occupation during the 2007 “surge” ordered by the Bush administration, and were implicated in systematic torture of detainees. In Afghanistan, these units were responsible for the infamous 2002 wedding massacre, when they called in an AC-130 gunship to rake a wedding party and other civilian targets, leaving hundreds dead and wounded. They remain hated by the population for their night raids against Afghan homes and the calling in of air strikes. Over the past decade, the Iraq and Afghanistan wars have tied down 80 percent of special operations forces. If the White House and the Pentagon are now discussing shifting their expanded use to become a more global strike force, it is because they anticipate not a “receding tide” of war, but rather an explosion of US militarism. The Obama administration has relied ever more heavily on these elite military units, which have become what amounts to a secret army under the command of the US president and accountable to no one. 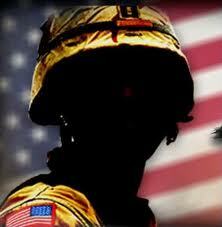 JSOC, like the CIA, has been empowered to draw up kill lists of alleged terrorists and launch assassination missions. Unlike the CIA, it is not required to secure a “presidential finding” authorizing lethal covert operations, or submit to congressional oversight. Those prepared to extol the exploits of elite killing squads abroad as the essence of the “American idea” will not shrink from the use of similar methods in suppressing any challenge to the rule of the financial elite at home. The deepest global economic crisis since the Great Depression of the 1930s once again confronts mankind with the threat of world war and dictatorship. A successful struggle against these threats can be waged only by means of the independent political mobilization of the working class against their source, the capitalist profit system.